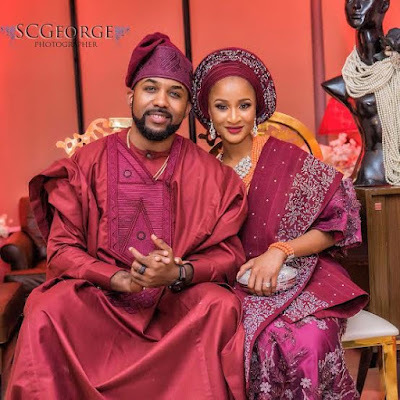 The internet was on fire in the Nigerian axis on Wednesday after news about Banky W’s engagement to Adesua Etomi broke. It is a beautiful news and Nigerians are still savoring it. Here are 10 things that you probably didn’t know about the bride to be. 3. Adesua, the last of three kids, was born in Owerri, South Eastern Nigeria, to a Soldier father and Civil Engineer mother. 4. She acted for the first time at age seven with a drama club at her primary school, Corona School Victoria Island. 5. She moved to the United Kingdom at the age of 13. 6. She got Diplomas in Performing Arts, Musical & Physical Theatre at The City College in Coventry, United Kingdom circa 2004. 7. In year 2009, Adesua Etomi bagged a First Class Honors degree from The University of Wolverhampton, U.K.
8. Her first big screen appearance in Nigerian cinemas was in April 14, 2014 when she got a role on Emem Isong’s Knocking On Heaven’s Door. 9. In 2016, she got the award for the Best Actress in a Drama at the Africa Magic Viewers Choice Award (AMVCA). 10. The films she has featured in include The Call, Brave, Falling, A Soldier’s Story, Out Of Luck, Couple Of Days, And The Spirit Slowly Dies, The Arbitration,Ayamma: Music In The Desert and The Wedding Party.